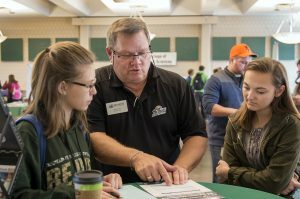 Bemidji State has many transfer agreements with two-year colleges within and outside of Minnesota. Check out your options below, and contact us if you have any questions about the transferability of your courses if you don’t see an agreement specific to you. BSU is proud to be partnering with our neighboring tribal colleges Leech Lake Tribal College, Red Lake Nation College, White Earth Tribal and Community College, and Fond du Lac Tribal and Community College. Our Azhoogan (“the bridge”) program ensures a smooth transfer between schools and programs and includes admissions benefits. More information on the program is here. Minnesota State Transfer Pathways are a guaranteed way to save you time and money as you create your plan for a bachelor’s degree. BSU is participating in most pathways, and as the agreements are completed we will list the pathways here.